Dirk Benedict was born Dirk Niewoehner on the 1st March 1945, in Helena, Montana USA, and is a movie, television, and stage actor, best known for his roles as Lieutenant Starbuck in “Battlestar Galactica (1978-1979) and Lieutenant Templeton “Faceman” Peck in series “The A-Team” (1984-1987). Benedict’s career started in 1972. Have you ever wondered how rich Dirk Benedict is, as of late 2016? According to authoritative sources, it has been estimated that Benedict’s net worth is as high as $1.5 million, an amount earned through his successful acting career, In addition to appearing on television, Benedict has also appeared in many movies, which also improved his wealth. 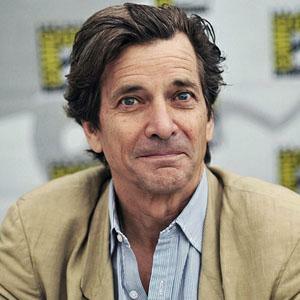 Dirk Benedict is a son of George Edward Niewoehner, a lawyer, and Priscilla Mella, an accountant. Dirk grew up in Montana and went to the Whitman College, Washington, from where he graduated in 1967 with a Bachelors degree in theatre. Before pursuing his acting career, Benedict briefly worked as a gravedigger. Benedict started using his stage name – allegedly adopted from ‘eggs benedict’ – during his early work in theatre and five years after graduation he made his movie debut in a romantic drama called “Georgia, Georgia” (1972). He appeared in an episode of “Hawaii Five-O” (1972) and starred in the horror movie “Sssssss” (1973) before playing Officer Gil Foley in 13 episodes of “Chopper One” (1974). Dirk continued with “W” (1974) starring Twiggy, had a lead role in “Cruise into Terror” (1978), and appeared in two episodes of “Charlie’s Angels” (1977-1978). In 1978, Benedict starred as Lieutenant Starbuck in both the movie and TV series “Battlestar Galactica”, and that role helped him to gain a lot of popularity and also earned him plenty of money to add to his net worth. Benedict ended the ‘70s with a comedy called “Scavenger Hunt” (1979) and later played in “Ruckus” (1980), “The Georgia Peaches” (1980), and “Underground Aces” (1981) alongside Melanie Griffith. From 1983 to 1987, Benedict had a starring role in the TV action series “The A-Team”, awith his role as Templeton ‘Faceman’ Peck is perhaps the most important in his acting career, as the series was nominated for three Primetime Emmy’s and aired for five seasons. By the end of the ‘80s, Dirk had bigger parts in “Body Slam” (1986) and “Trenchcoat in Paradise” (1989), and also appeared in an episode of “Hotel” (1987) and “Alfred Hitchcock Presents” (1989). In the early 90’s, Benedict had notable roles in such independent movies as “Bejewelled” (1991), “Blue Tornado” (1991), “Shadow Force” (1992), and “Official Denial” (1993), which certainly increased his net worth. He wasn’t seen as frequently in movies and series as he was in the previous decades, but had appearances in the horror called “Demon Keeper” (1994), in Chuck Norris’ “Walker, Texas Ranger” (1995), in the adventure “Alaska” (1996), and in “Waking Up Horton” (1998). Dirk’s latest movies are “Goldene Zeiten” (2006), “Earthstorm” (2006) with Stephen Baldwin, “Recon 7 Down” (2007), and “The A-Team” (2010) starring Liam Neeson, Bradley Cooper, Sharlto Copley and Jessica Biel, which also increased his net worth. In January 2007, Dirk finished third in the celebrity version of “Big Brother”. Regarding his personal life, Dirk Benedict was married to actress Toni Hudson from 1986 until their divorce in 1995 and has two sons with her. He learned that he has another son named John Talbert, born in 1968, but who had been given up for adoption. While filming “Georgia, Georgia” in 1972, Dirk started a macrobiotic diet that later saved his life when he was diagnosed with prostate cancer. He moved to a remote cottage and practiced the diet and eventually defeated the nasty disease. 1 Nobody would hire me after The A-Team (1983). I was too closely associated and it was a stupid show. The industry didn't like it. None of us went on and had a career after that: George, Dwight, Mr T. We were not well-loved. But doing Battlestar and the A team were, professionally, the best times of my life. Everything after that was so pale and boring, which I think was why I never really cared if I did another TV series. 2 [on Battlestar Galactica (2003)] It wasn't the show I made. I played an iconic character, but they turned him into a girl! When you do Star Wars you don't turn Han Solo into a girl, Hannah Solo. When you do Rio Bravo (1959) you don't have Madonna get her boots out to play John Wayne. Create another character instead. 3 [on his cameo in The A-Team (2010)] I regret doing it. Mr. T was right not to do it, they got rid of all the qualities that made it such an international hit ... it was like someone said, 'let's find everything that really made this show unique and get rid of that and just make kind of an average action movie'. 4 The female decides! The man may do his courting, dance, woo, cavort and strut his macho stuff...but it is the woman who decides. 5 I have long held the belief that men must take responsibility for their ejaculations. But alas, we can only do so if given the chance. 6 Men create havoc. But women have the power of procreation, connection to the continuum of the universe, the creation of world harmony, health, happiness, and order. 7 [on Battlestar Galactica (2003)] Women are from Venus. Men are from Mars. Hamlet does not scan as Hamletta. Nor does Han Solo as Han Sally. Faceman is not the same as Facewoman. Nor does a Stardoe a Starbuck make. Men hand out cigars. Women "hand out" babies. And thus the world, for thousands of years, has gone round. 8 I'm only proud of two things in my life; one is my children, the second is my first book. 9 [on making The A-Team (1983)] The problem is that the people who created the show had no idea what it was. They didn't understand what the show was because it became something other than what they intended. The network hated us; the people in authority were like the military in the show, trying to control us. We took control of it. We made it much funnier than it was, and we made it much more politically incorrect than it was intended to be. All the liberals in Hollywood hated it; they hated the cigars, the guns, the bravado and the fact we always thought we were right. 10 [on the The A-Team (1983)] I enjoyed it immensely. By nature I'm terribly serious, so as an actor I tend to want to be silly. It was a comedic show, almost like a cartoon. We just had to hang on to enough reality to make it possible for adults to watch it. The actors I worked with, especially Mr. T and Dwight Schultz, were very funny people. It was pretty much four years of laughter. 1 In the 5th season of The A Team, in the episode "Family Reunion" we find that "Face's" real name is NOT Templeton Peck but is in fact Richard Bancroft. 11 After his parents divorced, Dirk's mother got a restraining order taken out against her ex-husband, prohibiting him from seeing the children at their own home. When Dirk was 18, his father violated the order and told Dirk to go fishing with him. Dirk's mother had previously told him to say whatever he needed to to get out of going with his father. Fed up, his father stormed into the house, was shot and killed by his older son, who also nearly shot Dirk when he followed their father into the living room. 12 As a teenager, worked briefly as a gravedigger. 13 Permanently lost 50% of the hearing in his left ear at the age of 12 when he tried climbing through a barbed wire fence while carrying a presumed unloaded gun and it went off next to his head. 14 Once posed for a picture with actress Katee Sackhoff at a coffee shop, leading to the picture being titled, "Starbuck with Starbuck at Starbucks!". 15 Earned a B.A. in theatre from Whitman College in Walla Walla, Washington. 16 After raising his two boys, his comeback actually began in Germany after he appeared at a sci-fi convention in Bonn. A writer-director there saw him and cast him in the German movie Goldene Zeiten (2006). 17 Divorced from actress Toni Hudson in 1995, he received custody of his boys, George and Roland. He took them home to Montana where he raised them in a 900-square-foot log cabin on his macrobiotic diet. 18 Has three sons: John born in 1968, and two younger sons, with Toni Hudson are George (born in 1988) and Roland (born in 1991). 19 A prostate cancer survivor. In 1974, medical doctors recommended surgery, but he claimed to have cured his cancer through a macrobiotic diet recommended by Gloria Swanson, his co-star on Broadway in "Butterflies Are Free," and by exercise and fasting. Over a period of 3 years and under the guidance of Michio Kushi, according to his book Confessions Of A Kamikaze Cowboy, beat the cancer. He continues the diet to this day. 20 Is a member of the Phi Delta Theta Fraternity. 21 Helped write the 'love scene' between his and Patsy Kensit's character in Blue Tornado (1991).